The enigma that is 21st-century China and the effect that rapid modernization has had on its younger generation forms the crux of Xiaolu Guo’s latest film, “She, a Chinese.” Guo’s inherently sad tale follows the personal journey of Li Mei (an exceptional Huang Lu) from the Chinese countryside to the big city and eventually to London as she vainly searches for an identity and meaning. Li Mei spends her time daydreaming about an escape from her village. She’s aloof and ponderous; and her entire persona is tinged with sadness. It’s obvious that she’s longing for something more. Brother Qiang (Wu Leiming), a DVD pirate who has made it in Shenzhen opens her eyes to possibility and opportunity; a controlling mother and a tragic encounter only hardening her desire to make her own way in the world. Essentially, Mei epitomizes the new Chinese generation, one that is exposed to globalization and modernization, albeit in a very controlled and traditional society. Guo highlights the duality of modern China by portraying grand vistas of the countryside alongside vast building developments. It’s an obvious but very pertinent statement about the conflicting state of contemporary China. So Mei journeying to the nearest big city Chongqing, soon finds that the enticing bright city lights don’t always fulfill their promise of glamour and riches, especially when she doesn’t quite know what she’s looking for. Working for local mafia thug Spikey (Wei Yibo) at the Love Salon, Mei thinks she’s found love, but in reality she’s yearning for more. Enthralled by the draw of the West (represented by a Big Ben calendar), Mei’s journey eventually takes her to London, a move which (initially at least) promises to be as unfulfiling as everything that has gone before. Guo’s chapter style direction is an effective device, driving the narrative and lending “She, a Chinese” a steady, progressive pace as Mei’s journey swiftly changes locations. In addition, Huang’s introspective depiction of Mei is utterly compelling; despite Mei’s many setbacks, Huang lends her a rock-hard exterior. She’s driven and determined; and while Mei sometimes comes across as unsympathetic, it’s hard not to wish some happiness upon her — in fact, tellingly Mei only smiles once in the entire duration of the film. It’s a sombre tale, yet there is room for optimism given that Mei’s journey is open-ended. There’s an overriding feeling that despite her travails, Mei is growing and finding her own direction, which essentially is what she so desperately wanted in the first place. Zillah Bowes’ beautifully emotive cinematography perfectly reflects Mei’s physical and emotional journey while Guo’s screenplay ensures Mei’s saga is tinged with hope as well as pessimism. 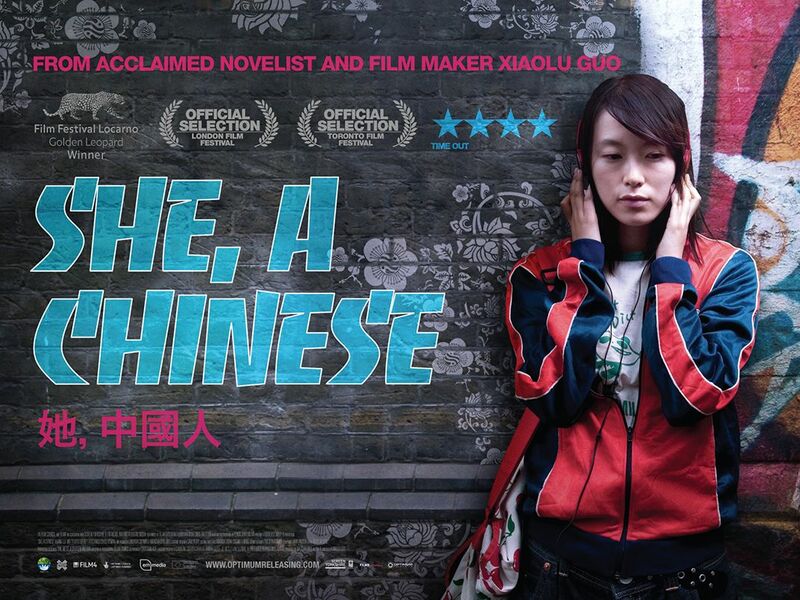 “She, a Chinese” is skillfully crafted, affecting and bold; but more importantly, it’s urgent and relevant filmmaking.